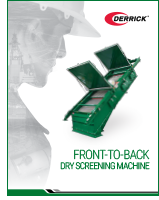 Offering the most innovative hardware available in dry screening equipment, Derrick proudly introduces the latest in dry screening technology, the Front-To-Back™ (FTB™) screen tensioning system. Increased capacity, improved efficiency, and extremely fast panel changes are all features of Derrick’s new FTB tensioning system. 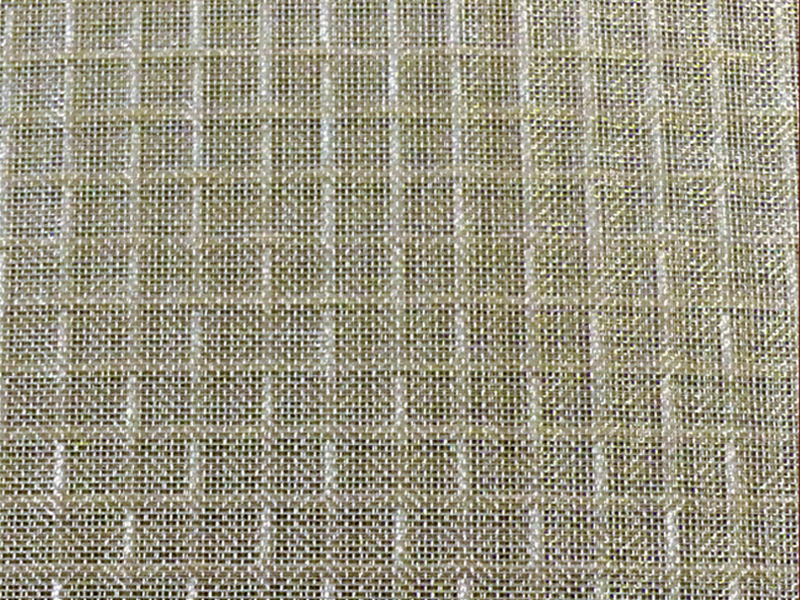 Customers using the Derrick 4 ft x 10 ft FTB screen frame report capacity increases up to 50 percent with improved efficiencies in products ranging from 0.25 in (6.35 mm) down to 400 mesh (38 µm). 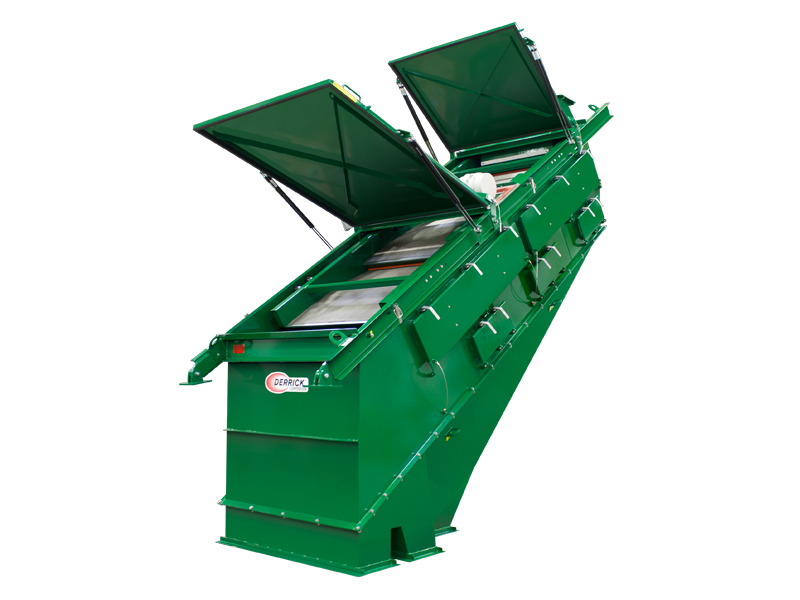 Increases are attributable to rotating the screen panel tensioning 90 degrees, thereby positioning the crown of the screen parallel to the material flow. 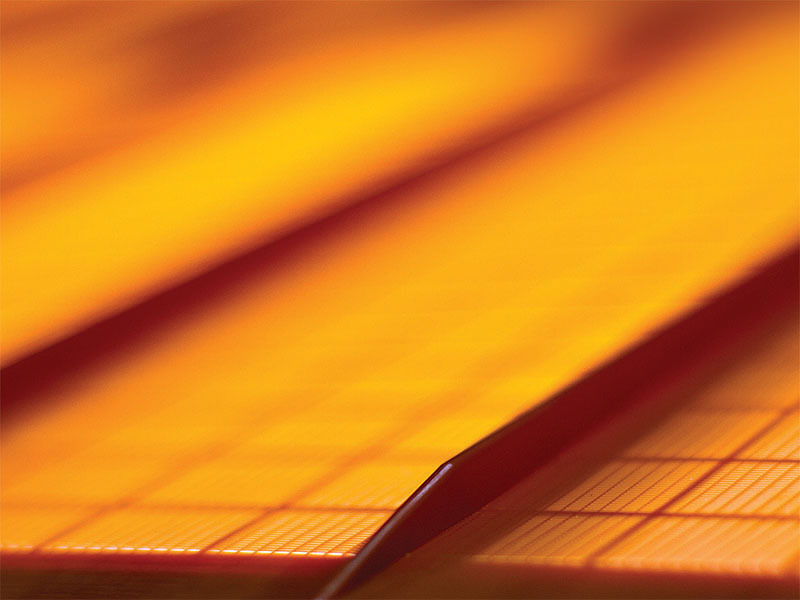 This change in crown orientation assures an even distribution of material across the entire width of the screen, increasing capacity and efficiency while reducing panel wear and virtually eliminating blinding. 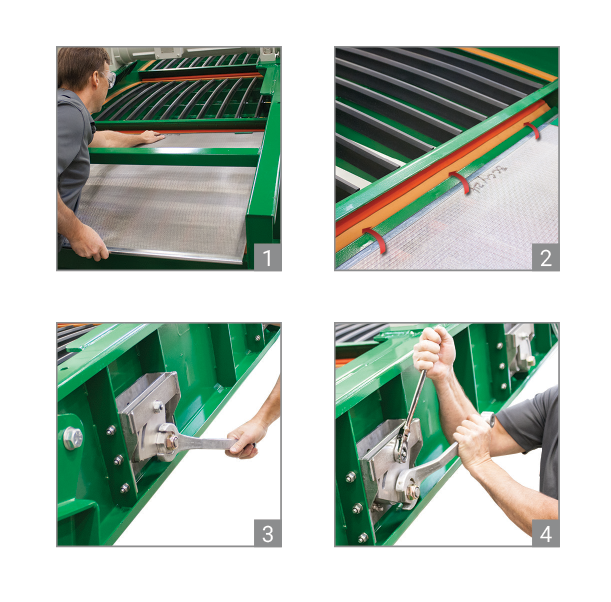 Derrick Front-To-Back screen tensioning systems are not only fast and efficient but also cost effective. 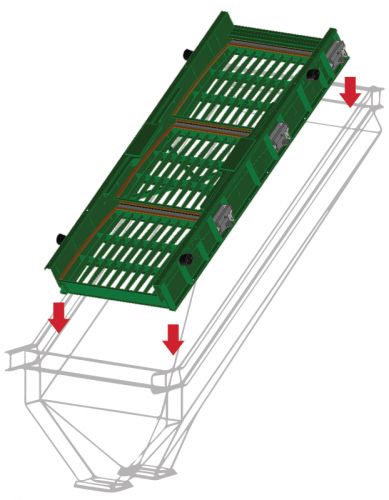 A new FTB screen frame is available for retrofit on most standard Derrick 4 ft x 10 ft (1.2 m x 3.0 m) machines. Although the conversion can be completed in less than a day, the resulting dramatic improvement is long-lasting. To upgrade your equipment, contact Derrick Corporation or your local Derrick representative today! Screen Panel Changes in Four Simple Steps! Hook the panel at the discharge end onto the edge of the screen bed section. Hook the opposite end of the panel onto the tension bar at the feed end. Rotate the tensioning nut to apply desired tension. Tighten the locking nut to secure panel tension.